A New York publisher is suing Apple for trademark infringement over the use of the term "iBooks." Publisher John T. Colby filed suit in the U.S. District Court in Manhattan on Wednesday, Bloomberg reports. Colby is founder and publisher of Brick Tower Press and J. Boylston & Company, Publishers. Colby purchased assets related to the "ibooks" mark in 2006 and 2007 from New York publisher Byron Preiss, who had published over 1,000 physical books under the name. The "ibooks" imprint was named "America's fastest growing small publisher" by Publishers Weekly in 2004, according to the company's website. According to the lawsuit, Apple's original "iBook" trademark covered only the company's now discontinued iBook line of notebooks. Colby alleges that Apple only began using the term iBook to refer to either e-books or an application for the delivery of e-books in April 2010. Apples use of the mark iBooks to denote the electronic library that can be accessed via its iPad tablet computer and its iPhone is likely to overwhelm the good will of plaintiffs ibooks and ipicturebooks marks and render them virtually worthless, the lawsuit read. A quick search of the U.S. Patent and Trademark Office did not reveal Colby's trademarks, though three of Apple's live marks turned up. Trademark	75182820 for the term "IBOOKS" for "computer [ hardware and ] software used to support and create interactive, user-modifiable electronic books" was originally filed for in October 1996 by Family Systems Limited Company but was eventually transferred to Apple. A second "iBook" trademark by Apple covers computers and computer hardware and was filed in November 1998. Apple revealed the first iBook laptop in July 1999. The line was replaced by the MacBook in 2006 during the transition to Intel processors. The most recent trademark filing is from April 2010 and encompasses a wide range of goods and services related to the iBookstore. Apple first announced the iBookstore in January 2010 alongside the iPad. 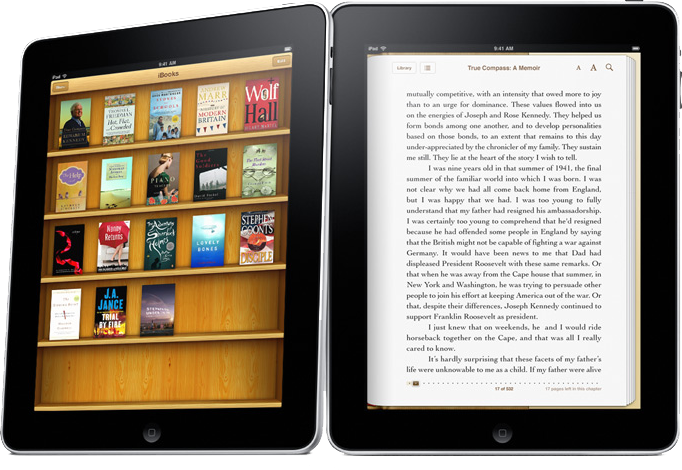 Apple revealed last week that the iBookstore has reached 130 million book downloads.